Welcome to my Blog!! This page is a bit of an introduction to me, and what I’m interested in and why I’m in the hobby, and why I’m blogging! This Introductory Post gives a background on my history in the hobby, and what i’ve done over the years. 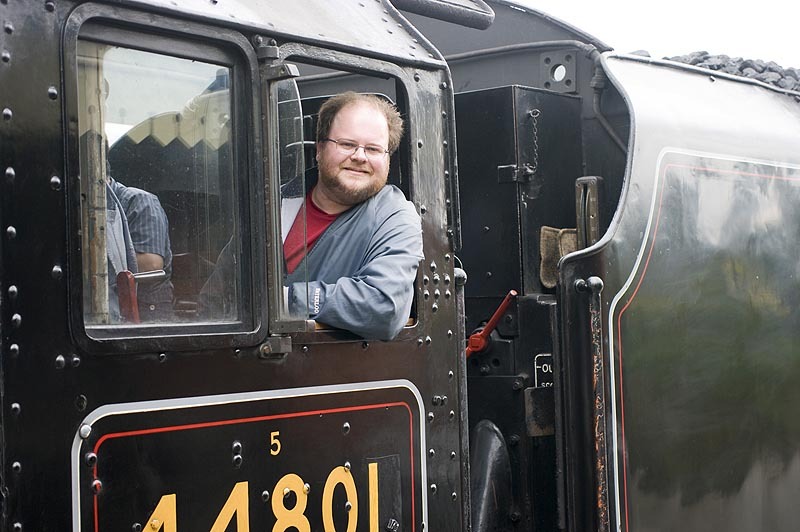 I am interested in a variety of different prototypes and places, but my primary interests are in Canadian National Railways in Ontario in the 1950’s, preserved railways in the United Kingdom, and in preserving the railway heritage of the Toronto area through the Toronto Railway Museum. I model in both HO (1/87th) and OO (1/76) scales personally, and have been dragged into the world of S Scale (1/64) by a friend who models in that scale. While I don’t at present have a layout, that isn’t stopping me from working on a variety of projects, which will hopefully someday grace a layout whenever we move somewhere just a bit bigger, or do a major reorganization of our current apartment. In early 2018, my wife and I bought our first home, a three storey 3 bedroom+den condominium townhouse. With this, for the first time in over a decade (since I still lived at home with my parents after university), I have a layout room, and construction has commenced on The Liberty Village Line, a recreation of Toronto’s Liberty Village industrial area served by the Canadian National and Canadian Pacific railways during its heyday of the 1950’s before the decline of Toronto’s industrial core commenced. I hope you find my posts interesting and informative, and look forward to hearing from you if you choose to comment on a post. I very much enjoy your blog. Thanks for your kind words regarding my Fillmore! I am North American railroad fan and live in New Zealand.Love your site and all the detail, cannot afford Rapido GMD-1. Any version. Is there any chance you’ll be making an N-scale version of the Hawker-Siddeley GO-Transit coaches ? I model the Montreal area in the 1990s and would be interested in getting at least seven or eight of these cars in N-scale. Name your price. Stephen, I model in Fn3 (1:20.3) scale / 3 foot gauge for an indoor layout. I am very interested in acquiring parts, suitable to construct a reasonable version of a Fairmont speeder. I believe I could fabricate the enclosure / cab if I had the under frame available. Are you able to upsize your speeder frame to 1:20.3 scale? I could also furnish wheels if you find that a difficult proposition. Thank you for your reply and your modeling is very well done.